Showcasing Toowoomba’s local music talent Something in the Water is a collaborative show between USQ music students, alumni and staff, which aims to showcase the exceptional local talent of Toowoomba’s emerging music scene. 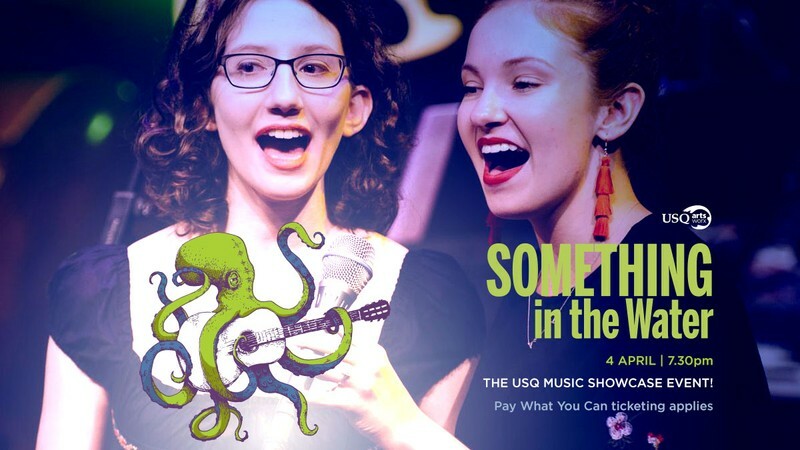 Featuring USQ music staff Melissa Forbes (voice, piano), Helen Russell (bass), Bruce Woodward (guitar), Mark Scholtes (guitar, voice, piano), and a host of talented students and alumni, this promises to be an evening of top-class popular music you won’t be able to stop talking about. This is a PWYC event, meaning we want you to pick the price that suits you! PWYC makes arts affordable to all while still providing support for artists and the arts community. We set the pricing intervals—you pick the price (we promise there’s no catch)!